Home mortgages are a form of secured financing, which use real property as collateral. 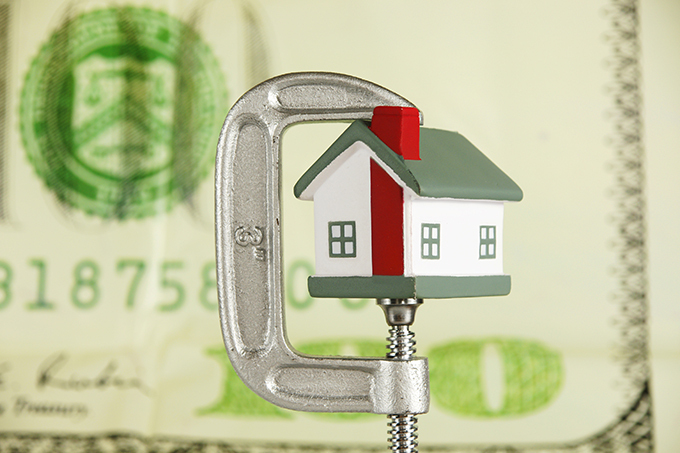 Because the stakes are high, climbing into the hundreds of thousands of dollars for each loan, lenders require added security before making these high-end commitments. In addition to down payments and solid credit references, banks, credit unions, and mortgage brokers use the value of properties to balance their risk. In principle, if a borrower fails to make payments, property ownership reverts to the lender issuing the loan for a particular property. In practice, however, lenders would rather receive timely payments than own real estate. Foreclosure happens when a homeowner is unable or unwilling to keep up with mortgage payments. It is the final recourse for lending organizations, which typically try other methods to work-out financial difficulties with their customers. As a last resort, lenders take-over administration of properties and sell them to recoup outstanding balances. In many cases, these homes have not been kept-up by cash-strapped owners, so they are distressed, needing repairs and maintenance. As a result, the properties commonly come to market well below their assessed values. The recent economic downturn led to a glut of foreclosures, as many homeowners found themselves unable to pay. For some, inflated home appraisals led to loans that exceeded their homes' true value, leaving them “underwater” - owing more than their homes were worth. As financial fortunes worsened, many of these mortgages were abandoned, leaving banks with a surplus of properties they owned, but wished to sell. While bargain hunters and real estate speculators can benefit buying low-priced foreclosures, it is important to understand the risks and responsibilities of buying these types of properties. Wading-in to the bank-owned market is appealing for those seeking bargains. Drawn by low asking-prices, however, some potential buyers fail to recognize this type of sale as entirely unique, compared to standard transactions. For starters, traditional timetables are thrown out the window when pursuing foreclosed properties. 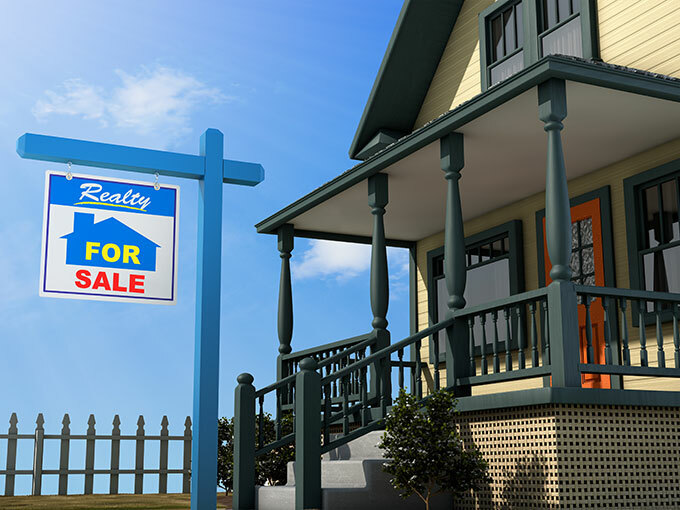 While it may be possible to close a conventional home sale within a few weeks, bank sales typically take much longer to transfer to new owners. In fact, some purchases take several months to carry-off; from the time an offer is made until the date the transaction is completed. Because they are often administered as part of a particular program, these special sales are governed by a different set of rules than conventional real estate transactions. Some listings, for example, are reserved for owner-occupied buyers, rather than investment speculators. Typically, such properties are only open to offers from buyers looking for a primary residence during an introductory period, lasting two weeks or more. If homes do not sell, the listings are then opened to all bidders. The strategy protects lenders, who assume less risk financing owner occupied properties. Two important government-backed credit agencies use the following programs to facilitate the sale of bank-owned properties. HomeSteps - Freddie Mac administers a home sale program called HomeSteps, which maintains particular standards for the sale of foreclosed homes. Like other initiatives, the program is designed to place homes in the hands of owners able to finance and maintain them. The organization's Good Neighbor Practices ensure homes are brought to market in good condition and that they are maintained while listed. Security and safety are also addressed by HomeSteps, requiring listing brokers to manage repairs, utility accounts, yard maintenance and other needed services. Buyers working with HomeSteps should expect to meet very specific requirements, which often make these deals more complicated than conventional transactions. Mortgage pre-approval, for instance, is required before submitting an offer on a HomeSteps property. The organization does maintain financing programs of its own, which offer benefits for certain buyers, who may qualify for low down payments levels and appraisal waivers. HomePath - This program is Fannie Mae's platform for reducing its inventory of real-estate owned homes. Its original mortgage feature was discontinued in 2014, but there are still services available to help buyers purchase HomePath properties. The organization's Ready Buyer Program, for instance, qualifies certain HomePath buyers for special consideration. By completing the Ready Buyer education course and attaching a completion certificate to an offer, buyers may be eligible for 3% closing cost assistance. HomePath's First Look opportunity reserves homes for owner occupant buyers during an initial listing period, so those seeking primary residences can shop for homes without competition from real estate investors. Buying foreclosed homes through these and other programs may require patience and flexibility, but for some buyers; the benefits offset the added challenges. Unpaid mortgages are subject to a process, which ultimately enables banks and other lenders to seize properties in arears. Unfortunately, during the months preceding foreclosure, many mortgage holders see the writing on the wall and stop caring for their homes. As a result, a significant percentage of the homes come to market needing repairs. Sold as they stand, there is little room for negotiation with sellers, who would rather price the properties below market value, for quick sale. Buying a fixer-upper is a prudent strategy, provided the cost of repairs is considered before committing to a price. Failing to do due diligence, on the other hand, may lead to hidden expenses that cancel out potential savings resulting from buying a distressed property. Home inspections are an important part of any real estate transaction, but foreclosed homes demand extra scrutiny. Some have stood vacant for months - even years - so vital systems may need refurbishing in order to function properly. In addition to general inspections, specialty contractors may be required to assess plumbing, heating and cooling, foundations, and roof systems. Whenever possible, getting estimates up-front helps dial-in the precise cost of repairs, so the pricing information can be incorporated into an offer to purchase. Success buying real estate owned (REO) property relies on the help of experienced professionals. In addition to securing pre-approval from a financing entity acquainted with the process, it is essential to partner with a real estate agent or broker familiar with this specialized form of sale. Like traditional transactions, correctly pricing bank-owned homes is done by evaluating “comps”, or comparable area sales of similar properties. Experienced agents know how to account for special circumstances surrounding foreclosures, ensuring offers are equitable. Their knowledge of the process also gives them a leg-up during negotiations. From past involvement, they know what mortgage entities will tolerate and how much authority their representatives have when working-out deals. Bank-owned houses, condos and other parcels have made their way through a process that grants title to the lender. These homes are then marketed through traditional channels, by brokers and agents representing the lender/owners. There are built-in advantages buying homes this way, because liens, additional mortgages and back taxes are generally the responsibility of the seller. Foreclosure auctions, on the other hand, furnish no such guarantees. To quickly liquidate properties in arears, lenders offer them at auction, which can result in deals for bargain hunters. Typically, lenders are trying to recover the outstanding balance yet unpaid, so low-reserve foreclosure auctions are common. There is risk for buyers, however, because homes are auctioned “as-is”, with no right of inspection. In addition to potentially costly repairs, an auctioned property may be encumbered with unpaid taxes, liens and second or third mortgages. When purchased at auction, responsibility for settling these matters is transferred to the winning bidder. While there is some level of uncertainty associated with any auction purchase, buyers can take measures to reduce risk. Researching title history, for example, uncovers exactly who has claims on the property. And since no commissions or attorney fees are paid for homes sold at auction, it is up to each buyer to compensate lawyers and others who help trace title status. City Hall, the Department of Records or the local Registrar of Deeds are good starting points for researchers seeking public title records. Some municipalities maintain online databases, but a trip to the records room may be required to review title documents. It is important to recognize states and localities have their own regulations in place, so comprehensive research includes review of local laws. Buying a foreclosure can be a rewarding experience, saving house-hunters substantial sums on the price of a home. But the process is unlike a standard real estate transaction, so care must be taken to avoid pitfalls. Through research and partnerships with experienced professionals, buyers limit risk and promote positive outcomes.